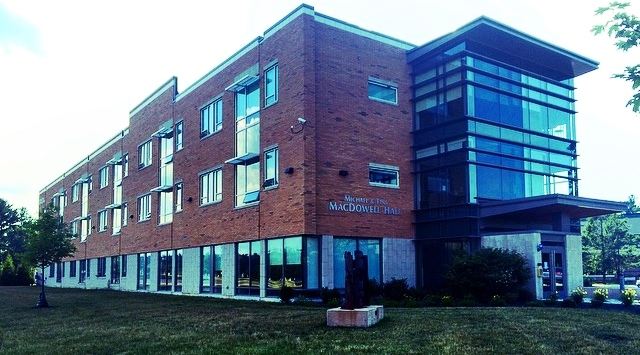 Many individuals wish to show support of Misericordia University with a planned gift. This option allows you to invest in the success of future generations, while aligning your contribution with your overall financial goals. This type of giving can include: stocks and bonds, real estate, retirement assets, cash, and insurance gifts. Planned Giving helps you to make a monumental impact, while also maintaining your personal plans for your family estate and other philanthropic affinities. 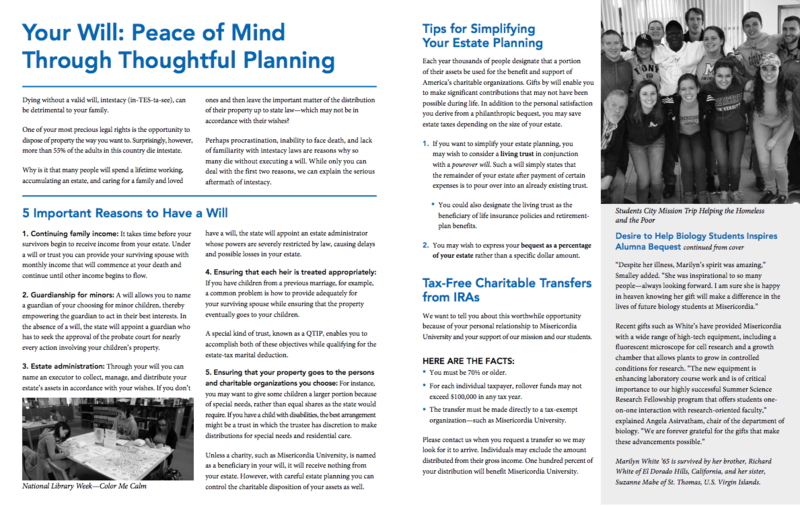 Here you will find our detailed brochure for planned giving. It includes different options and a lot of valuable information. Planned giving approaches are tailored very much to each individual, and we would be happy to talk with you about all of the ways you may wish you show your support. For further questions, and to explore this opportunity to make a difference, please contact Annual Giving at (570) 674-8027.